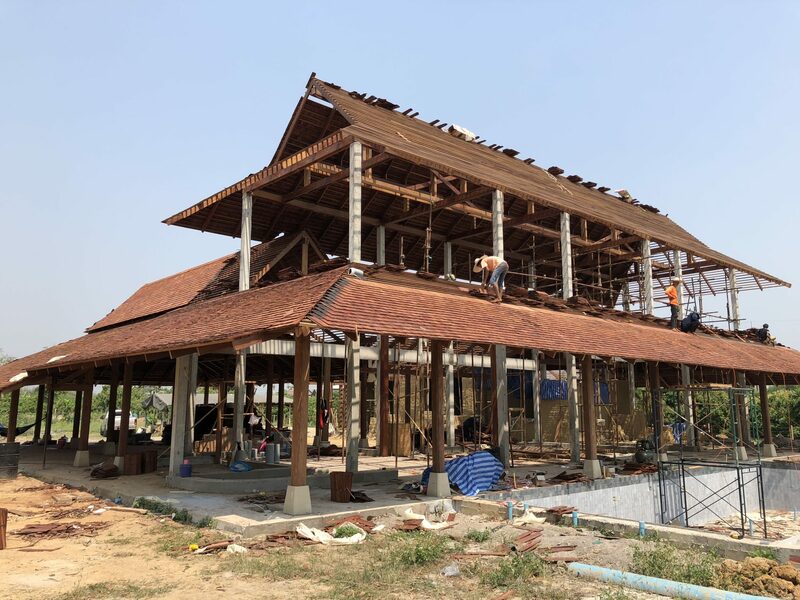 This project is new land for us as it combines a traditional Thai wooden roof with adobe brick walls and natural stone floors. It is still all natural materials and the design uses high roofs and natural ventilation to cool down the living area and reduce energy consumption. This combines to our first modern Thai eco home. The finishing is high-end and really modern. All designed by Chiangmai Life Architects and partnering with Thaweephan Co. who built the roof structure and doors and windows, and Homebuilders from Bangkok who supplied and decked the wooden shingles.